​The NFL head coaching carousel is in full force, with candidates already making the rounds for interviews with the eight teams looking for a new boss on the sidelines. One of the more sought-after names is ​Kansas City Chiefs offensive coordinator Eric Bieniemy. 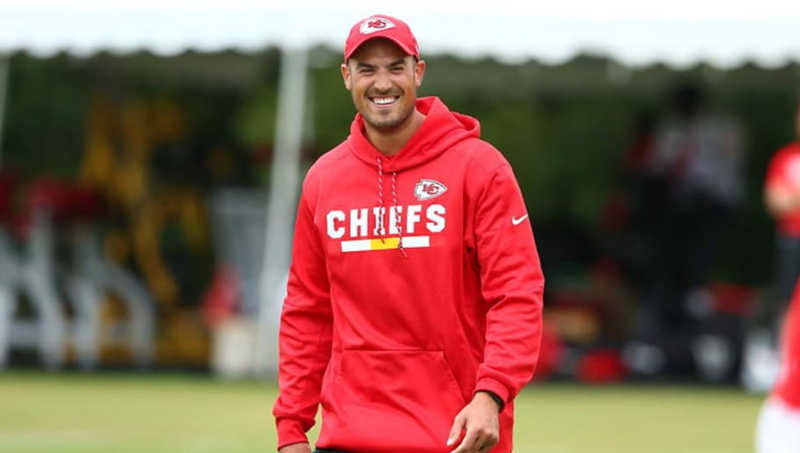 With Bieniemy the latest from the Andy Reid coaching tree to likely land a head coaching job, another name on his staff is gaining some buzz as well. Chiefs OC Eric Bienemy getting the interviews this cycle, and perhaps rightfully so. Some say Chiefs QB coach Mike Kafka could be the real prize for a team in next two years. Kafka was a former quarterback of Reid when he was the head coach of the Philadelphia Eagles. Just two years ago, Kafka joined Reid's staff in Kansas City, and rose up to the ranks. The former quarterback is being universally praised for his work with perennial NFL MVP Patrick Mahomes, who has thrown for 5,097 yards and 50 touchdowns in his first year as the starter.